Fawnskin is an unincorporated community in San Bernardino County, California, United States. Its altitude is 6,827 feet (2,081 m). The community has a post office, which was established on 18 May 1918. The small township was once an artists' colony, which attracted artisans, musicians, composers and actors from the Los Angeles area. Mountain travelers in the 19th century came to the Big Bear Valley through Fawnskin on the rough road by stagecoach and later motorcars. Several other names were temporarily chosen for the North Shore village including Bald Eagle Valley, Big Bear Village, Cline-Miller, Grout, and Oso Grande. The village has always been an attraction to vacationers seeking a retreat from city life in its mountain terrain. Several hundred homes are in the forested mountainside adjacent to the forest. Gold miners, loggers, and hunters were drawn to the adjacent Holcomb Valley during the 19th century. The Native American legend  about how the town got its name has been turned into the urban legend. The Anglo version is that hunters discovered deer (fawn) skins stretched out to dry in the sun. Hence, the area became known as Fawn Skin and later Fawnskin. Fawnskin was once the hub of lakeside activity, serving as a stagecoach stop and tourist attraction with hotels and dining. The town's main landmark is the Fawn Lodge, built in 1924, but now closed. Composer Fannie Charles Dillon founded Woodland Theater at Fawnskin, Big Bear Lake, California, in 1924 and served as its general manager from 1926 to 1929. Other notable landmarks include the Pedersen Saw Mill, which lies just west of the lodge; and the historic post office, which lies to the east of the lodge but now is a private home rental. Downtown Fawnskin has some of the oldest buildings in the Big Bear valley. Once popular for camping, the Lighthouse Camp and Landing is the only surviving north shore camp from the 1920s. Hanna Flats and YMCA Camp Whittle—owned and operated by the Metropolitan Los Angeles YMCA—are located within the forest above Fawnskin and remain favorites of vacationers. Fawnskin events include the comic Doo Dah Parade and the Loggers’ Jubilee. The town also claims the only "honest" election in the nation. Anyone can vote for the Fawnskin Mayor; votes are donations of a quarter. The candidate who wins is the one who raises the most money. Hence, the town "buys" their politicians. Today, Fawnskin is designated as a protective habitat for golden and American bald eagles. They return annually to the valley from November to April. In 1998, the multimillion-dollar Big Bear Discovery Center was built and plans to expand. The facility is operated by a partnership between the US Forest Service and the San Bernardino National Forest Association. A variety of celebrities live in the area. Two publishers operate out of Fawnskin and several writers live there full-time, including William Sarabande. Jordan Romero, the 13-year-old boy who conquered Mount Everest, is also known as one of the Fawnskin Folks. Actress/singer Shirley Jones and her husband actor/comedian Marty Ingels also own a home in Fawnskin. Marty Ingels and Shirley Jones bought a piece of property in 2001 and created Fawn Park in downtown Fawnskin. However, it was closed to the public from July 2006 until it was reopened September 2011, featuring a memorial to those who died in the September 11 attacks. The small mountain resort community also has other parks which include the Old Miller School House Park, Dana Point Park, and the Don Conroy Memorial Park. Many scenes of Columbo: Murder by the Book (1971) (with guest star Jack Cassidy, then married to Shirley Jones) were filmed here, as was a Perry Mason episode, "The Case of the Violent Village." In chapter 35 of Stephen J. Cannell's novel, At First Sight (2008), the antagonist Chick Best and protagonist Paige Ellis stop in Fawnskin en route to the Bests' vacation cabin in Big Bear. 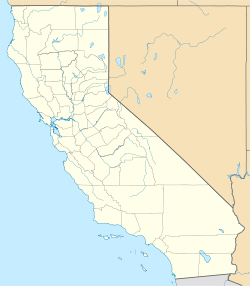 ^ "Fawnskin, California". Geographic Names Information System. United States Geological Survey. ^ Sadie, Julie Anne; Samuel, Rhian (1994). The Norton/Grove dictionary of women composers (Digitized online by GoogleBooks). ISBN 9780393034875. Retrieved 5 September 2014. ^ Sahagun, Louis (December 21, 2018). "Big Bear Lake is home to a growing tourist economy and a small band of bald eagles. But for how long?". Los Angeles Times. Retrieved 2018-12-21. ^ Welch, William M. (September 12, 2011). "Ground Zero of the West Coast rededicates park". USA Today. Retrieved August 31, 2018. ^ "The Case of the Violent Village ('Filming & Production')". January 2, 1960. Retrieved March 6, 2018. ^ "Fawnskin Flyer". fawnskinflyer.com. Retrieved August 31, 2018.